Happy Birthday to the Beat Legend, J Dilla! Rest In Peace, Jay Dee. Here is a new mixtape I put together in tribute to Dilla. With this concept, I took some of my favorite tracks from my past two Dilla mix tapes I did a few years ago and added some other tracks. 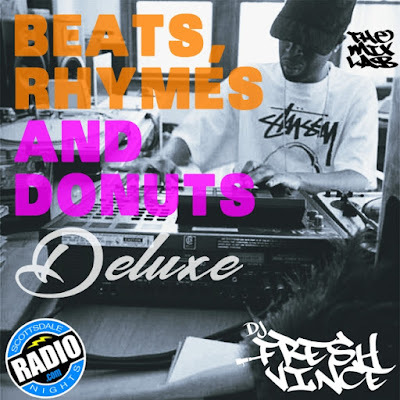 Beats, Rhymes & Donuts: Deluxe Edition has the best of the previous mixes, but it is practically “another batch” of Dilla joints all mixed in this hour long set! As we celebrate the life and music of James “J Dilla” Yancey, enjoy this mixtape and share it! Here’s a New Mix…Who Dis? Continue celebrating the new year with this sequel party mix. It’s an open format set with a lot of Hip-Hop, R&B, Latin, Throwbacks, and Remixes. This Two-Part mix was originally meant for New Year’s Eve but after a busy Holiday Season, I still decided to release both mixtapes anyway. Welcome to 2019 everyone! 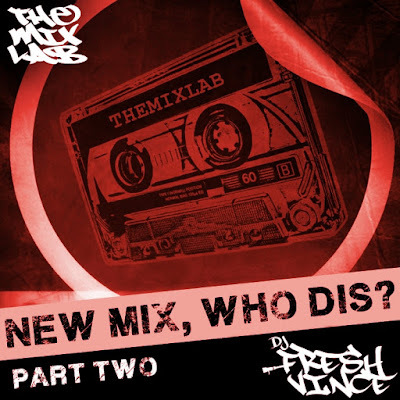 Here’s a New Mix…Who Dis? Let’s jump off the new year with this party mix. It’s an open format set with a lot of Hip-Hop, R&B, Latin, Throwbacks, and Remixes. This mix was originally meant for New Year’s Eve but after a busy Holiday Season, I still decided to release this mixtape anyway.